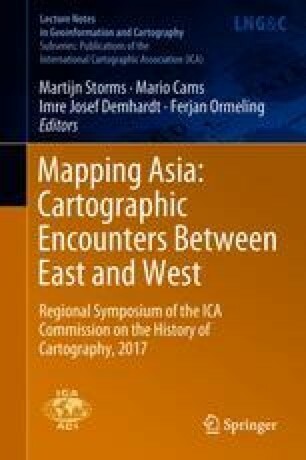 Buginese Charts: Typical Cartographic Encounters Between East and West? One of the undisputed highlights of the Utrecht University map collection concerns a big chart on vellum of the East Indian Archipelago written in Buginese (shelf mark: VIII.C.a.2). Nowadays three copies of Buginese charts of the archipelago are known from literature worldwide. The Buginese charts provide an overview of the trade area of the Buginese and Makassar peoples, who have been known of old as the sailors of the archipelago. So far it was generally thought that the Buginese charts were made by indigenous cartographers, using older Western sources like the charts patented in the name of the Dutch East India Company. Furthermore, the assumption has been made that the Buginese produced either a standard model for their charts or copied each map after the other. Can these hypotheses still survive? Currently we have a tremendous on-line reservoir of digitized old maps and charts at our disposal. And we can also take advantage of modern techniques like digital accuracy analyses. With the help of this relatively new digital potential and science the content and possible sources of the Buginese charts are critically examined. By doing this, special attention will be paid to the Utrecht copy.